This pretty white candle makes the perfect keepsake for that special occasion. 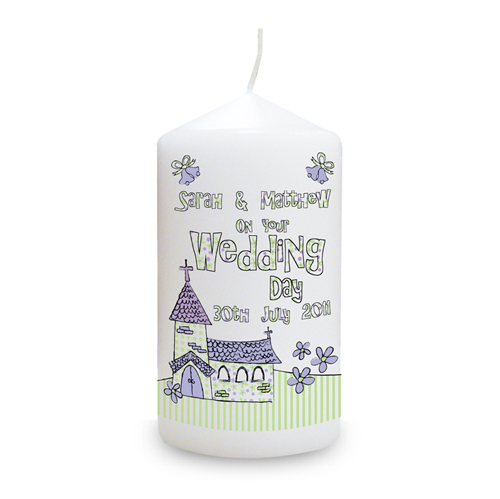 The candle itself features a pretty church design and can be personalised with the bride and grooms first names up to 20 characters and also a date up to 19 characters. The wording 'on your Wedding day' is standard text.